Just a note readers that the trailer placed 4th in "Most Intriguing Trailer" - The New Covey Trailer Awards! 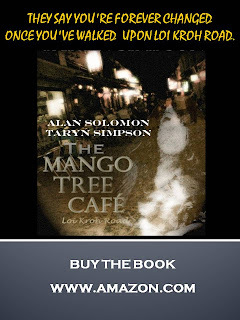 Reasons why to Purchase the Award Winning, "The Mango Tree Cafe, Loi Kroh Road"
I bumped it up to 5. The book is incredible. I really love the song and want to read this book. 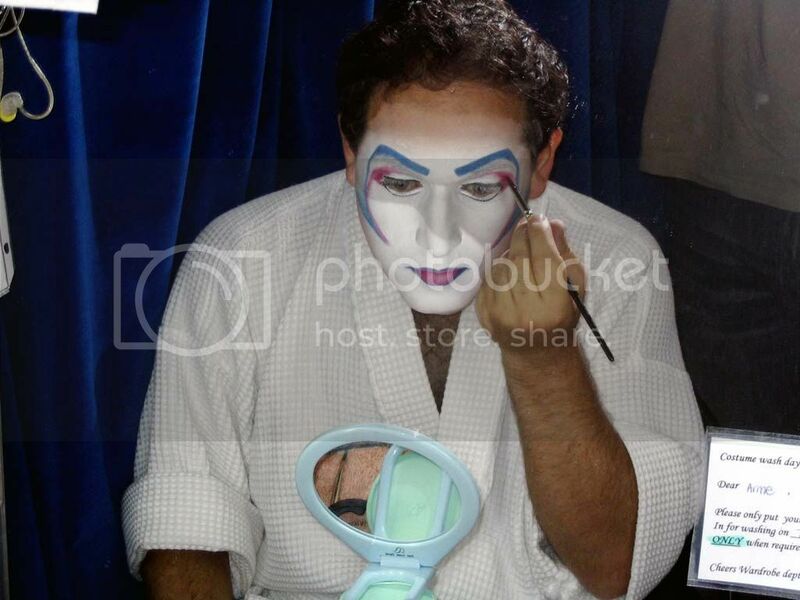 I know that it is going to be a real good story because the song﻿ and photos are real. Taryn, the music is so good and the graphics are warm and inviting. Where do I line up for my ticket to take my walk onto Loi Kroh Road? I see on the blog that one of the co-writers is a Kiwi! So am I...we are quite special eh/ Now answer me this, why is it that everytime I tune into youtube I am drawn to watching and listening to this promo...it has power!! heck get this book into the shops ! Ihave this listed on my favorites! Hi Writer4762I have read the book four times now, I have never read the same novel so many times as I have this one. It is great and new things are revealed on every read. I hope I see more from you two again. Wonderful story, full of real life, I think. This video is exceptional and clearly depicts what you can﻿ expect from this read. 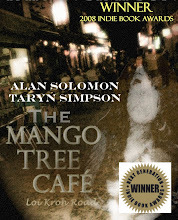 As promised, I stated in my last post that if "The Mango Tree Cafe, Loi Kroh Road" won in any category at the Indie Book Awards, that I would let YOU know. A listing in the 2008 Next Generation Indie Book Awards Catalog which will be distributed to book buyers, media, and others! 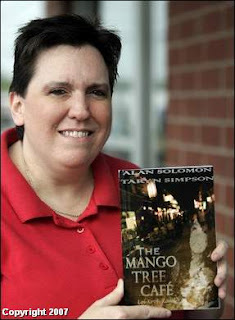 Exposure for a full year at http://www.indiebookawards.com/ as a Winner or Finalist. PLUS, the top 70 books will be reviewed by New York literary agent Marilyn Allen of Allen O'Shea Literary Agency or one of Ms. Allen's co-agents for possible representation in areas such as distribution, foreign rights, film rights, and other rights (unless an entrant prefers not to have the book forwarded to an agent). Ms. Allen has over 25 years of sales and marketing experience, including serving as Senior Vice President, Associate Publisher, and Director of Marketing for Harper Collins and directing sales and marketing teams for Simon & Schuster, Penguin Books and Avon Books. Ms. Allen has had the pleasure of working with many best-selling authors including Stephen King, Ken Follett, Barbara Kingsolver, John Gray, Mary Higgins Clark, and many more. Alan and I wish to thank YOU for being an important part of this award! I promised I would update everyone when I learned the results of the Pulitzer Prizes. 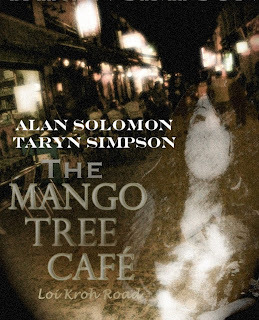 I was convinced that "The Mango Tree Cafe, Loi Kroh Road" would be listed at #1. I was wrong. 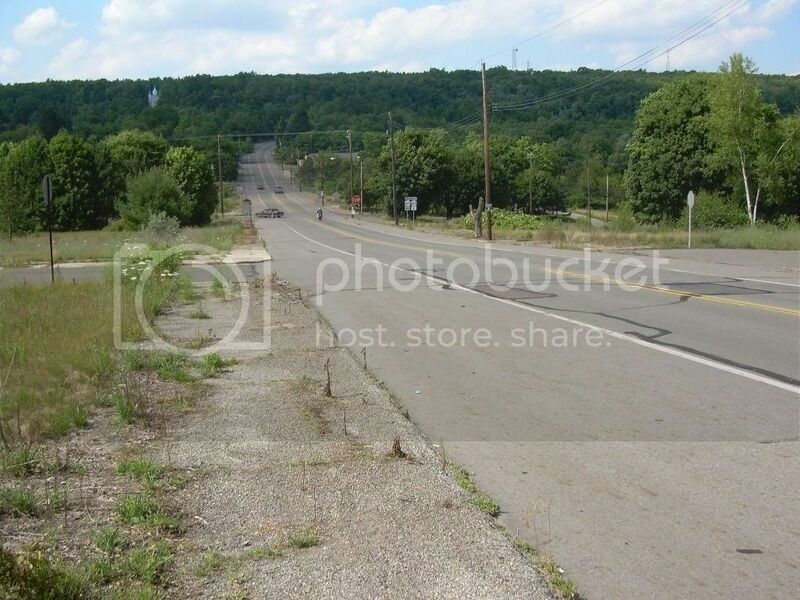 We have both walked Loi Kroh Road and now we must walk a new Road leading us to new experiences and a new novel. I have to admit, I was devastated when I found out the book didn't win. This has been such an incredible experience for me and everyone and I do mean everyone stated that they LOVED this book. The Indie Book Awards are in May. I again, will post if the book wins in any category. If it doesn't, Alan and I bid you a fond farewell and adieu. 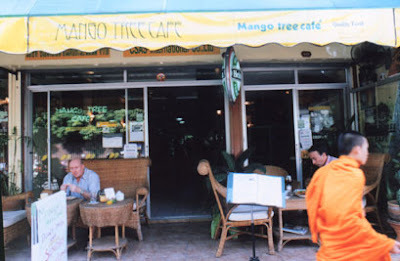 We ask that you continue to tell your friends, family and others about "The Mango Tree Cafe, Loi Kroh Road." But, Alan and I are moving on to the next novel which we are in the process of writing. Please visit the blog to accompany the book: http://www.heplayedthegame.blogspot.com/ . If you have ever felt different in your life....you will love this book. And, that's a promise. Thank you to all that bought the book and wrote in to tell us how much you loved it. It means more than you know. Are you ready for a virtual book signing with one author in BEIJING, CHINA and the other in NASHVILLE, TN USA? The Mango Tree Cafe, Loi Kroh Road is up for another award! Yep, our book is nominated for two categories in the 2008 Indie Book Awards! First for "Best Fiction" and Second for "Most unique online marketing of a book"
1. What are the Indie Book Awards? The Next Generation Indie Book Awards (the "Indie Book Awards") is the most rewarding and exciting book awards program for independent publishers and authors worldwide.The Indie Book Awards was established to recognize and honor the most exceptional independently published books in 70 different categories, for the year, and is presented by Independent Book Publishing Professionals Group (http://www.ibppg.com/) in cooperation with Marilyn Allen of Allen O'Shea Literary Agency. 2. Who can enter the 2008 Indie Book Awards? The 2008 Indie Book Awards is open to all indie publishers including independent publishers (small, medium or otherwise), university presses, self-published authors, e-book authors, seasoned authors and even first time authors based in the U.S., Canada or internationally who have a book written in English and released in 2007 or 2008 or with a 2007 or 2008 copyright date. 3. What makes the Indie Book Awards so special? The Indie Book Awards is the only awards program of its kind because cash prizes and/or awards and maximum exposure (even possible representation) with a leading New York literary agent are given to the top 70 books entered. Be sure to keep reading our blog to see if we won! Winners will be announced May 15, 2008. Did YOU have a beer with Alan Solomon in Beijing Last Night??? I had a work meeting until 10pm last evening, when it finished my boss said 'lets go for a beer' we went to a small bar and I was standing there and this guy comes up to me and asks if I am Alan Solomon, I answered yes and he replied he had just finished reading the MTC and he said "It was outstandingly good"
He then said "i was wondering where it was going as the characters were introduced in the middle but then I read on and it all came to me" He said "i never thought I would ever bump into you and I only wish I had my copy here with me for an autograph! PICK UP YOUR COPY TODAY....WHO KNOWS? 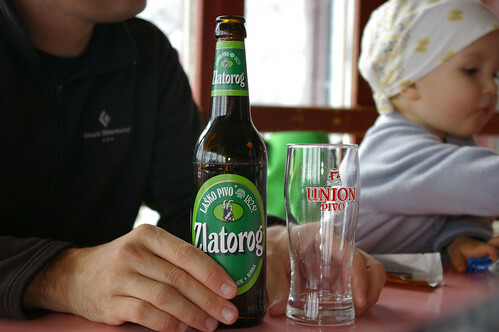 YOU NEVER WHEN YOU'LL BE BELLIED UP TO THE BAR NEXT TO AN AUTHOR! The story goes that when King Mengrai the Great founded the city of Chiangmai in the year 1296, the superstitions of the East entered the city and lay in wait in the shadows of Loi Kroh Road where today, it is told, they still wait patiently. As planes land at Chiangmai airport, it is said that with every landing a fool steps off and enters Loi Kroh Road, never to be the same again or, in some cases, never to be seen again. The Translation of "Loi Kroh Road"